✓ REDUCE URGES TO URINATE: P3 Advanced includes beta-sitosterol, an ingredient found in multiple clinical studies to reduce urges to urinate. Not only might this ingredient help you reduce those frequent daytime bathroom trips, but it will also help reduce the nighttime urges that disrupt your sleep! ✓ WITH 15 MG LYCOPENE: Preliminary research suggests that 15 mg of lycopene may help support HEALTHY PROSTATE SIZE. The problem is that too many supplements - including some best-sellers - simply don't have that much lycopene! We don't cut corners, which is why P3 Advanced includes a full 15 mg of lycopene. 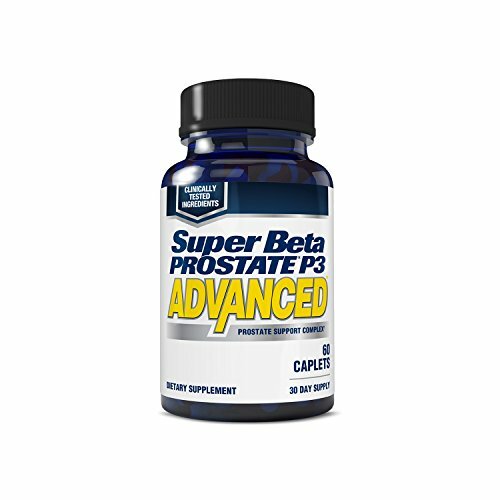 ✓ SAFE & NONPRESCRIPTION INGREDIENTS: The key ingredients in Super Beta Prostate P3 Advanced were carefully chosen based on their research, safety, and efficacy. This includes the three key ingredients that support healthy prostate function: beta-sitosterol, lycopene, and reishi mushroom... as well as beneficial nutrients like vitamin D3, zinc, and selenium. If you have any questions about this product by New Vitality, contact us by completing and submitting the form below. If you are looking for a specif part number, please include it with your message.